Today the #SundaySupper crew is sharing Captivating Casseroles. Before deciding on my dish, I started with the question: what exactly is a casserole? A casserole, from the French word casse, refers to a large, deep dish used both in the oven and as a serving vessel. The word also describes the food cooked and served in said a vessel. So, essentially, a casserole refers to anything cooked in a casserole dish. Okay. So a lasagna is a casserole? According to this definition, yes, an Italian casserole. A shepherd's pie is a casserole? Sure, a British casserole. Here's what I brought to the table...in my casserole dish. My three boys eyed the dish suspiciously. I explained the project and shared the definition. "I've seen you bake cakes in that dish." noted Jake. "So, those cakes are casseroles?" posed R.
Yes. I guess they are. "Cool. A cake casserole," said R.
D just stared at the pan. It probably didn't help that I had teased: D, this recipe is from your people. "What do you mean my people?" "And you were born in Oklahoma," interrupted R.
"I know where I was born," snapped the Wom. "Why do the people in Oklahoma make casseroles?" No idea. But I know that they do. When D was born, I was part of a moms' club. And many of the members graciously brought dinner over to the house so that I didn't have to cook for awhile. Meal trains are a god-send for new moms. But during that week or two after we came home from the hospital, I saw more casseroles than I had seen in my entire life. It was one of those that I decided to replicate: a fully loaded tater tot casserole with all the beloved toppings on a baked potato - sour cream, green onions, and cheese! You can buy the tater tots, certainly, but I made mine. Preheat oven to 400°F. Scrub the potatoes clean and roast until they are fork tender. Cool them rapidly by plunging them in ice water. Change the water, and repeat, until the potatoes are cool. Shred the potatoes on the large holes of a box grater. Place the other ingredients into the bowl - except the canola oil - with the grated potatoes and use a fork to fully combine everything. Line a baking dish with parchment paper and brush it with oil. Preheat oven to 425°F. Using about a teaspoon of the potato mixture, form it into a cylinder about 1 inch long. Place on baking sheet and repeat until all the tots are made. Bake for approximately 35-40 minutes, turning once about 20 minutes into the cooking time. 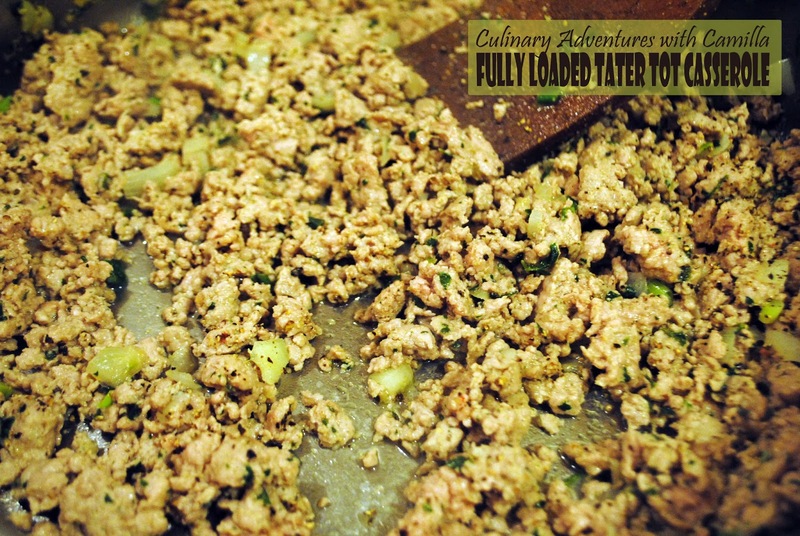 In a large, flat-bottom pan, brown your onions and celery in a pat of butter. Once the onions are translucent and softened, add in the beef and pancetta. Cook completely. Season with herbs, paprika, salt, and pepper. Preheat oven to 400°F. 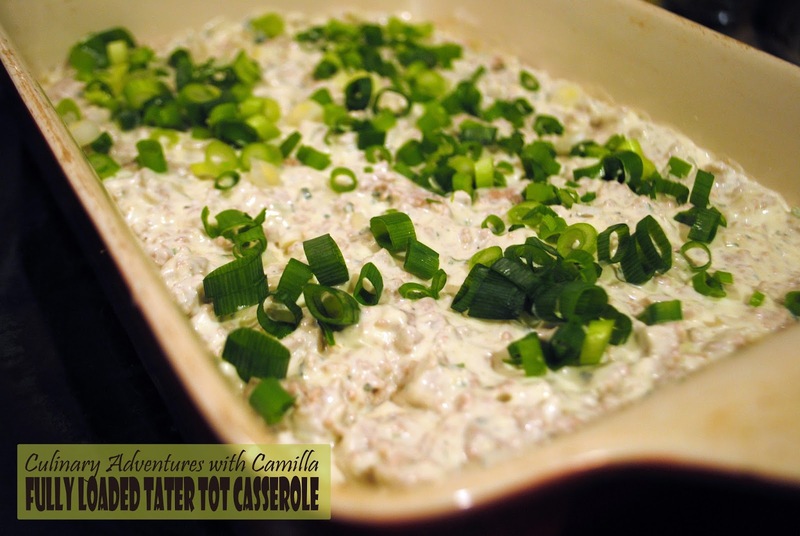 Stir in the sour cream and spoon the mixture into your baking dish. Sprinkle with green onions. Layer with shredded cheese, then arrange the tater tots over the top. Bake for 20 minutes - till the cheese is melted and the meat mixture is bubbling below. To serve, scoop portions into bowls. "cake casserole" cracked me up! Me, too. My boys certainly keep me in stitches. LOL, yeah, I got a lot of casseroles when my children were born---I don't think any were as scrumptious as this one!!! 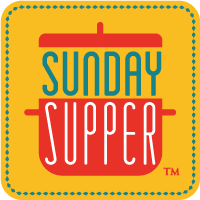 I joined #SundaySupper but too late to join in on this week and next week is sponsored so I can't join then we are going on vacation but I will definitely be joining you guys as soon as our schedules align. Too bad I wasn't in time for this theme because, being from the Midwest and all, casseroles are our life LOL. Can't wait to have you around the #SundaySupper table, Wendy. Thanks for always commenting. 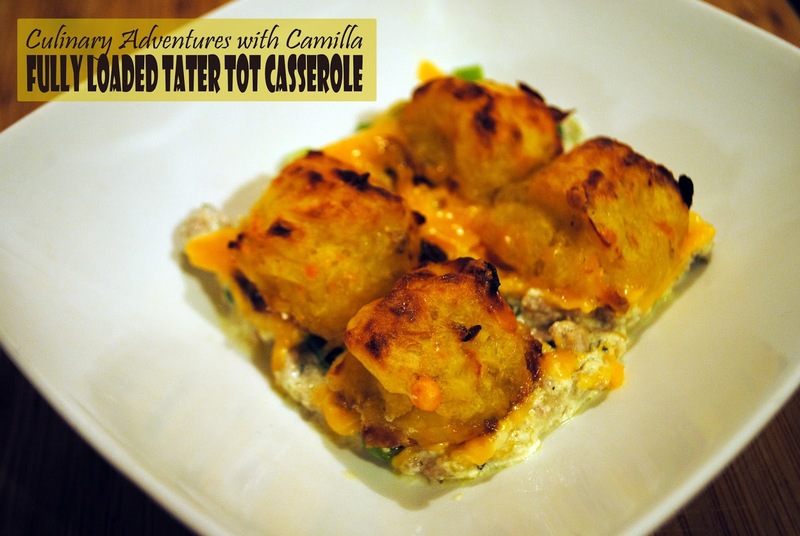 Holy cow, Camilla, you made your own tater tots?! Extra points for that huge extra step! Nothing better than a fully loaded potato so I love your casserole. 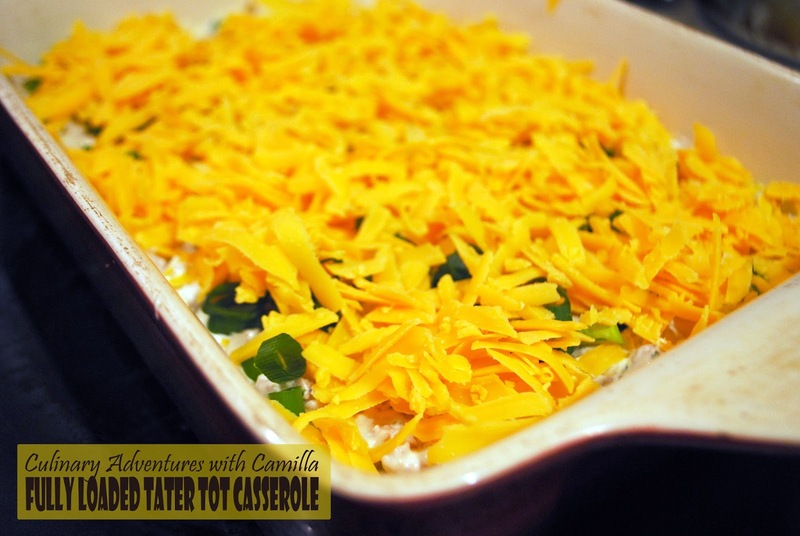 This is the kind of casserole I grew up with -- only better! I never thought to make my own tots, though. Love this! I was waiting for a tater tot casserole and you went above and beyond and MADE your own tater tots! Fantastic!! 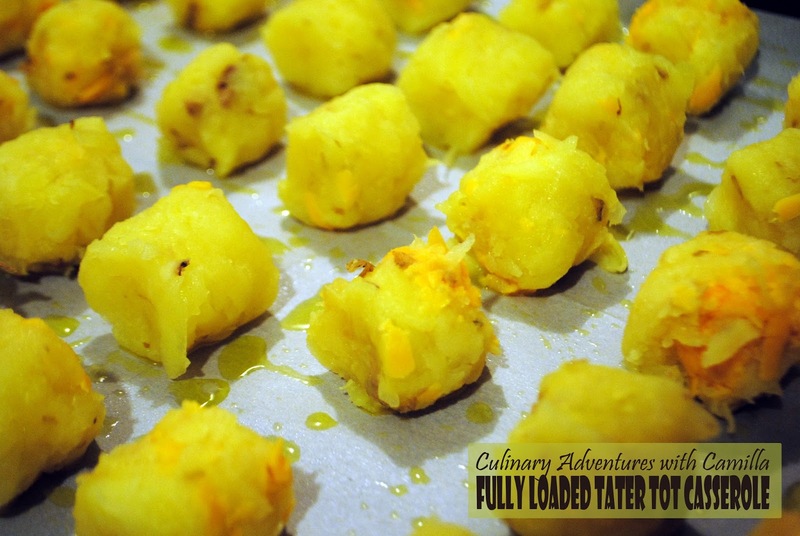 Tater tots were such a fave when I was a kid, I would love this as an adult too though. Sounds awesome! This is such a perfect casserole! 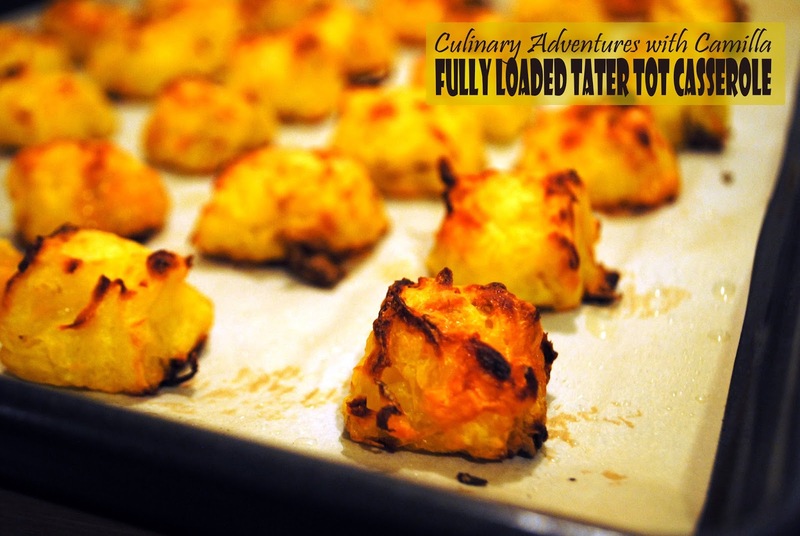 I love the homemade tater tots and the comforting ingredients here! Filing and making! I've never made tater tot casserole. It looks oh so tasty. I think I need to start with making this one. Tater Tot Casserole is very popular in Minnesota. I have never tried it, but am excited to try your recipe. It looks fantastic! "Mom train" sounds like a great idea! 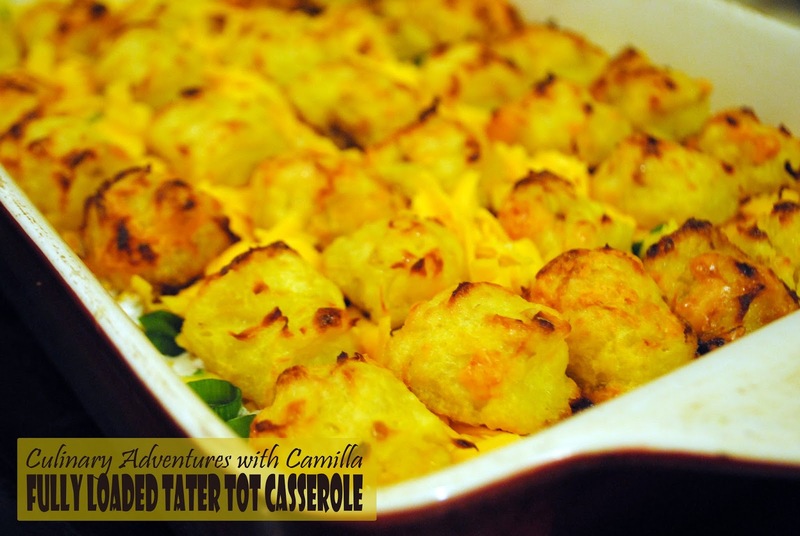 This casserole with homemade tots works for me!